Residents in eight North Carolina counties could get federal help to clean up and rebuild. That means people living in those areas may be eligible for grants to get temporary housing, money for home repairs, low-cost loans, or funds to cover uninsured property losses. Do you have insurance? If you have a homeowner's or flood insurance policy, file your insurance claim immediately before applying for disaster assistance. Get the process started quickly. The faster you file, the faster your recovery can begin. If you cannot return to your home, or if you are unable to live in your home because of disaster damage, visit DisasterAssistance.gov, or call 800-621-3362 (800-462-7585 TTY) (multilingual operators are available-press 2 for Spanish) to determine if state, voluntary, and local organizations are in your community to address your immediate needs. If you can return to your home and it is safe, has working power, water, and sewer or septic service, visit DisasterAssistance.gov to determine if state, voluntary, and local organizations are in your community can address any unmet needs. 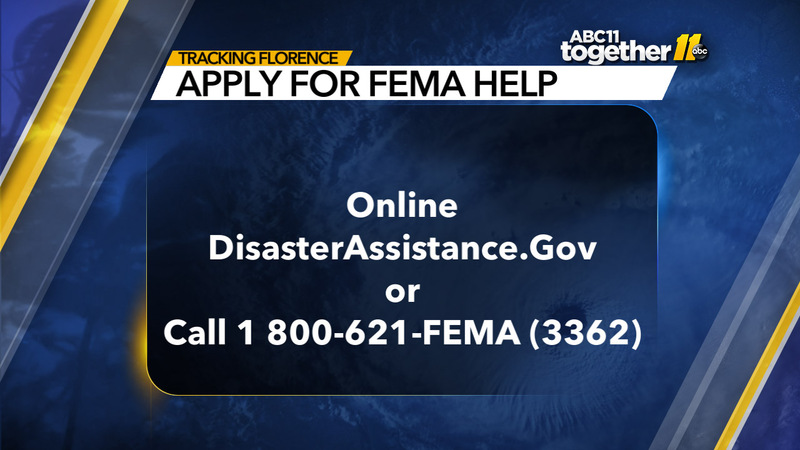 Anyone in the designated areas can start applying for assistance online at DisasterAssistance.gov or by calling 1 800-621-FEMA (3362).